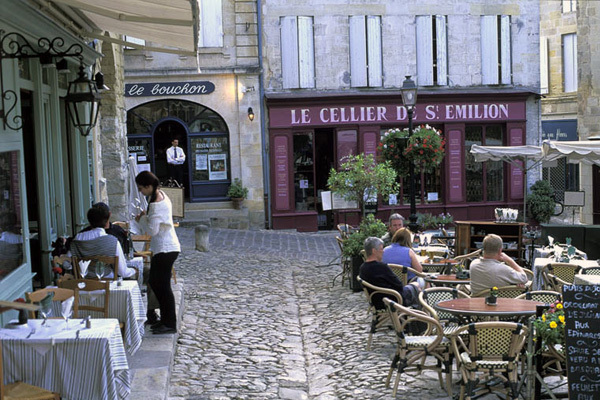 Eating Out in France : Each village has a restaurant - usually more than one. They display a menu outside so that you will be able to choose a restaurant that has a menu with dishes on it that you will enjoy and will know the cost before you go into the restaurant. Most restaurants display a range of set menus ‘menu fixe’ at varying costs that have carefully chosen dishes for each course. There will usually be a good variety of regional dishes that are prepared from local produce to choose from. 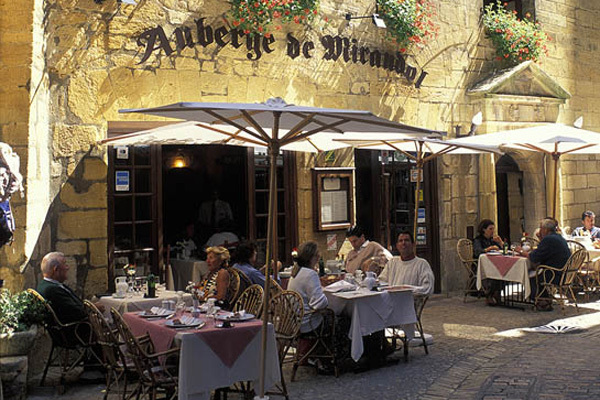 Restaurants : We will be featuring on this page restaurants close to our campsites that we and/or our holidaymakers have visited. Just before the holiday season starts we will ask them to give us a typical menu and to tell us what specialities and regional dishes will be on their menus. Along the Avenue Maurice Perray promenade, overlooking a glorious beach is where Daisy Hughes aged 10 tried frogs legs for the first time. 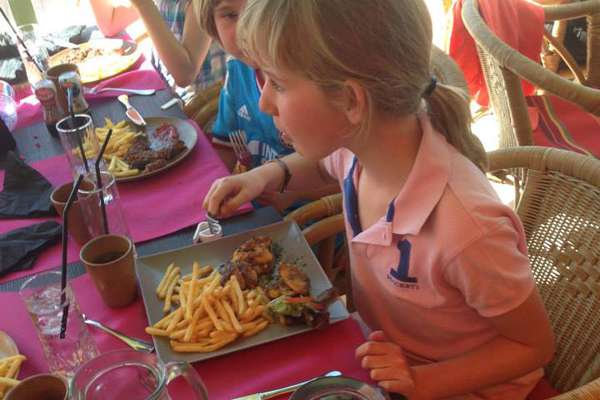 When her Dad questioned her menu choice she replied 'Well, we are in France and that is what the French eat so I want to try them too!' This seafront restaurant welcomes families with children. 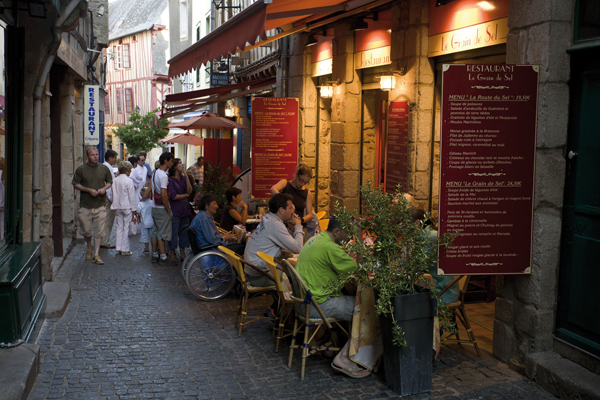 The atmosphere is relaxed and the food is very good. Oh, and Daisy gave the thumbs up for the frogs legs - apparently they tasted like garlicky chicken! 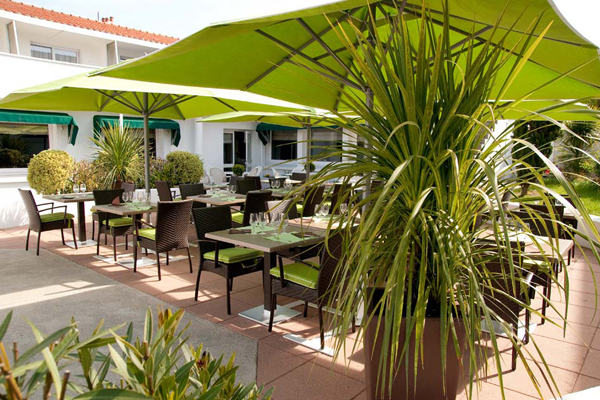 Le Transat - On the port, with wonderful views across the mouth of the river Odet. De la Pointe du Cap Coz – the views are stunning – the sea on both sides. 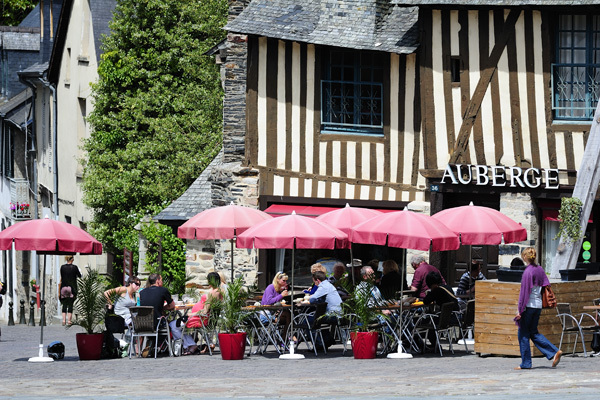 Auberge du Bon Cidre – Traditional Breton Cuisine.